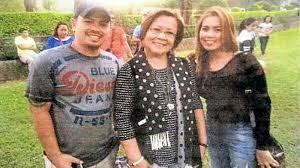 Leila De Lima also called Justice Secretary Vitaliano Aguirre II a “chronic liar” and “without balls” for linking her anew into the stabbing incident last Sept. 28 that resulted in the death of a Chinese drug lord Peter Co and the wounding of JB Sebastian, Tony Co and Vicente Sy. “”Without Balls?” That remains to be seen. “Without Hair?” That as well remains to be seen.” Sonny Trillanes mumbled. “…….Malaking Kalokohan ang BIHOK mo, Sir!” ‘ika ni Trillanes. Carrie Fisher’s bipolar disorder, which has been linked in several studies to cardiovascular disease and mortality and this association “has been confirmed in representative and population-wide studies and approximates a two-fold increased risk—that is, persons with bipolar disorder are about twice as likely to develop or die from cardiovascular disease than would otherwise be expected,” says Jess Fiedorowicz, an associate professor of psychiatry, internal medicine and epidemiology at the University of Iowa, who published a study on this topic in 2009 in Psychosomatic Medicine. Budget Sec Ben Diokno confessed that the President has two personalities: Candidate Rody and President Duterte. Amid allegations of animal cruelty, the Metro Manila Film Festival (MMFF) executive committee on Tuesday announced the withdrawal of the Fernando Poe Jr. Memorial Award for Excellence it earlier granted to “Oro,” one of this year’s entries, due to its controversial dog slaughter scene. “For just one dog, our award was withdrawn? FPJ In his movie-lifetime slaughtered thousands ala-EKJ fashion!” an Oro producer thundered. MANILA – Budget Secretary Benjamin Diokno said the public should differentiate Rodrigo Duterte the president from the one who made promises during the campaign, in response to questions about the proposed pension hike for members of the Social Security System (SSS), which covers workers in the private sector. “Alam n’yo yun, DR JAKOL and MR HYPE? Yung una, bastos pero maginoo. Yung huli, hyperbola,” Diokno added. DAVAO CITY, Philippines – President Duterte yesterday told Filipinos not to believe Catholic priests and urged them to join the “Iglesia ni Duterte,” a religion he would establish where there is no prohibition and men are allowed to have ‘unli’ wives. PNoy, FVR and ERAP died and found themselves at the Pearly Gates. St. Peter told them that he will ask them only two questions and if their answers are correct, they can go in. PNoy was first. “What’s your religion?” The Gate Keeper inquired. PNoy answered, “of couse Catholic!” “How many wives do you have?” PNoy answered, “I’m a bachelor. Didn’t marry at all.” St. Peter allowed him in. FVR was next. He said he’s a Protestant and with some reluctance admitted, “two wives, Sir…..” He was sent to Purgatory. 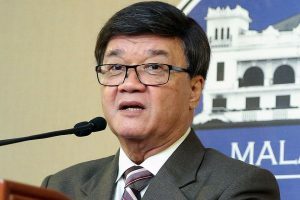 Vitaliano Aguirre should be the “Secretary of Hyperbole,” instead of being the justice secretary. DAVAO CITY, Philippines – President Duterte yesterday told Filipinos not to believe Catholic priests and urged them to join the “Iglesia ni Duterte,” a religion he would establish where there is no prohibition and men are allowed to have “unli” wives. “If you have something against me, my mouth, my character, go to God and complain, siya ang may gawa, siya ang (he is the one who made me, he is) to be blamed,” the President said in an interview with ANC. Erap, PNoy and Rody died and they found themselves at the Gates of Heaven. The interview is done by God himself. “Just one question and I give you your partner for all eternity!” God declared. Addressing his question to Erap, “who made you President?” “The movie industry, My Lord,” Erap answered. Marilyn Monroe appeared and led Erap inside, whispering, “we spend eternity together. PNoy for his part replied, “the elite and the businessmen, My Lord.” Paris Hilton was paired with him for all etenity. When Rody was asked who made him President, “It was your fault, You made me President, My Lord.” From a distance, Rody saw Mother Theresa approaching him.